 The Lombardy region accounts for 3% of Italy’s wine production, with a relatively equal output of red and white wine. The region includes 5 DOCGs, 21 DOCs, and 15 IGTs, representing 60% of total production. Lombardy boasts highly favorable locations for vines in a region where the Alpine climate is tempered by the lakes of Garda, Iseo, Como and Maggiore to the north, and the Apennines to the south. Lombardy’s Franciacorta territory produces some of the finest traditional-method sparkling wines of Europe in the hills south of Lake Iseo. The soil in this area can be volcanic, moraine and/or limestone, which provides an excellent foundation for growing Chardonnay, Pinot Bianco and Pinot Noir grapes. Nearly a third of Italy’s bottle-fermented sparkling wine is produced in the province of Brescia, but only wines from choice vineyards in the zone qualify as Franciacorta DOCG. With the latest and sixth change to production rules, a new grape variety has been added to those permitted in the blend: Erbamat is an ancient white variety originally from the province of Brescia of which we can trace written mentions back to the 1500s. A late-ripening grape with decisive acidity. It joins the list of permitted varieties for Franciacorta and can compose up to 10% of the blend in all forms of Franciacorta, except for Saten, which must be 100% Chardonnay. Franciacorta is also a leader in sustainability. The number of vineyards farmed organically continues to grow, with 965 hectares currently certified organic and another 898 hectares under conversion. Soon, over 65% of the total surface area planted to vines will be certified organic. The region’s most productive zone, Oltrepò Pavese, is Italy’s leading source of Pinot Nero grapes. 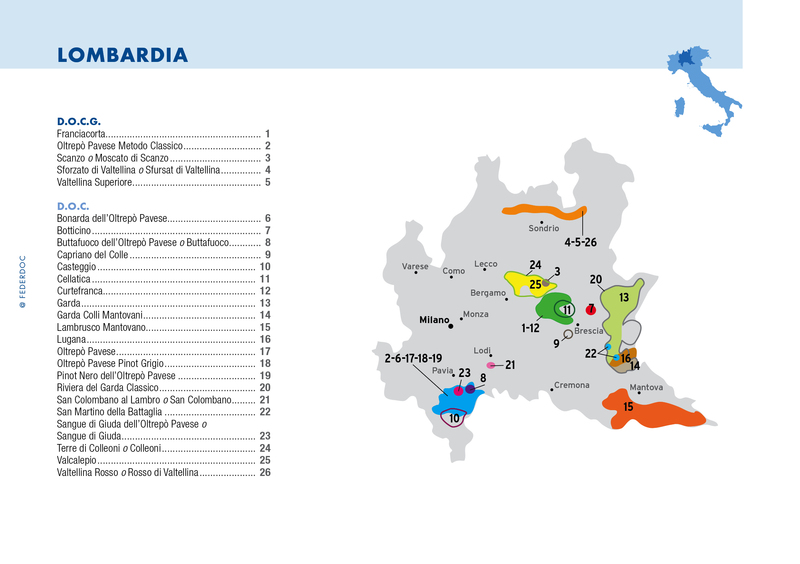 The province of Brescia boasts a majority of the region’s DOC/DOCGs: Botticino, Capriano del Colle, Cellatica, Franciacorta, Curtefranca, Garda Bresciano and the three zones that share territory with Veneto: Garda, Lugana and San Martino della Battaglia. Far to the north, Valtellina’s rugged, granite-heavy slopes produce exceptional red wines from Nebbiolo (here called Chiavennasca). DOCG has been granted to Valtellina Superiore and its five sub-districts. Their Nebbiolo wines display an ethereal, delicate quality that is distinct from those made to the south in Piedmont, thanks to the cool mountain climate. They are famous for the Sforzato wines made from grapes that are air-dried before being pressed, similar to the technique employed in Amarone wines, resulting in an intriguing combination of sweetness and concentration with a uniquely graceu nature. The rare and prized sweet Moscato di Scanzo, from a village near Bergamo has also recently been promoted to DOCG.